As the summer season arrives many music events show up taking advantage of the good weather. Only in Europe, there are 177 music festivals. The number could seem low but we are talking about between 20,000 to 200,000 attendees per event. For example, Sonar Festival received 115,000 attendees last year but it was surpassed by Primavera Sound who got an incredible number, 185,000 attendees! With these figures in mind, we see a huge opportunity for the use of location-based services. Some of the inconveniences that attendees need to overcome in music festivals are many. For instance, getting lost inside the event, long queues at main entrances, missing information about stages location, artists, food, transportation, etc. All of these can be now avoided thanks to mobile and location technology. Through beacons and geofences, music events can trigger notifications when attendees pass by sponsorship booths or near certain stages or artists. It’s a great way to deliver exclusive content and keep your attendees informed about event alerts. According to Cvent (Event Marketing Institute), 75% of leading event organizers are already using mobile apps at events. Moreover, 94% of the event industry have announced that they plan to maintain or increase their mobile app budget this year. Not surprising, due to the fact that proximity-aware event apps are found to be 460% more engaging than standard mobile apps at events, according to a study. Music event apps have become a valuable resource for music fans, especially for millennials. According to Billboard, 32 million people go to at least one music festival in the US every year, of which 46% of them are individuals between the ages of 17 to 34. 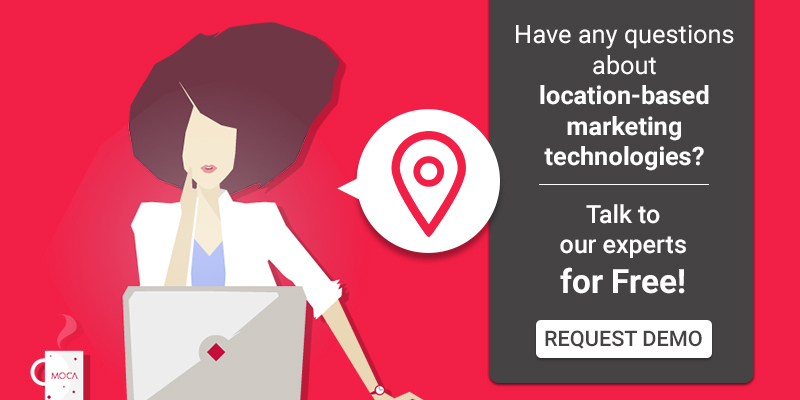 Location-based marketing is perfect for events where there is a high prevalence of Millennials. As the majority of them are digital native, they are constantly watching their smartphones and updating their social networks. Adding to that, a Poll conducted for ticket seller Ticketfly shows that 60% of millennials say that they are interested in receiving push notifications about deals on food, drinks, merchandise, and possible VIP experiences while they are actually at the event. Music events tend to be organized in big areas where people can easily get lost if the place is not well waymarked. Location-based technology and proximity services allow making festivals more efficient, whether it is providing location information, simplifying payments or creating a unique and tailor-made experience. Also, it gives event organizers insights into how their audience interacts and engages on-site. If you’ve ever wondered which booth, artist, or activity was most popular at an event, now you can know it. 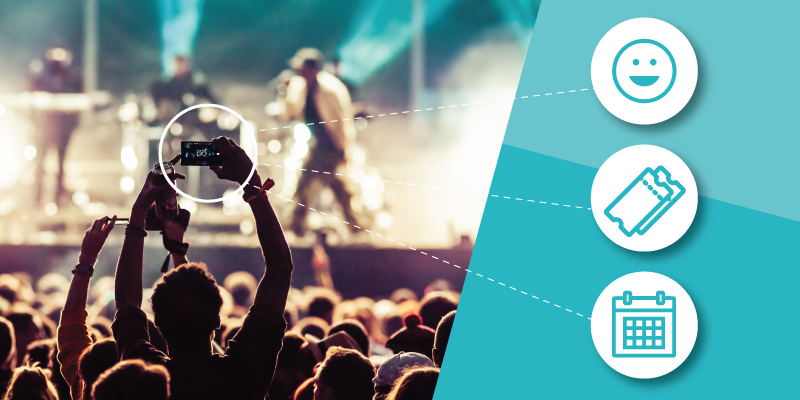 Bluetooth beacons are used for micro-located marketing, enabling the delivery of proximity-aware notifications, indoor wayfinding and information to audiences on location at the music festival. 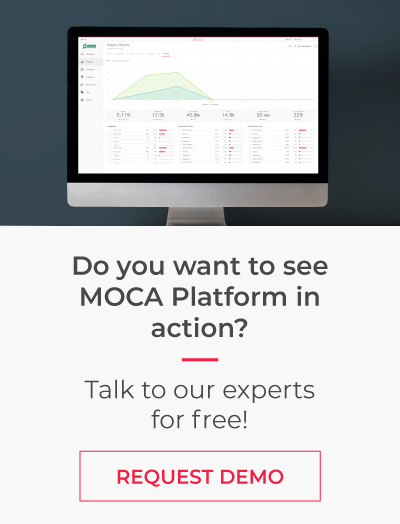 With beacons, event organizers can understand when attendees visit the bar, what artists they like the most, understand which performances drive the highest attendance, and report back to their sponsors on how successful their campaign was. 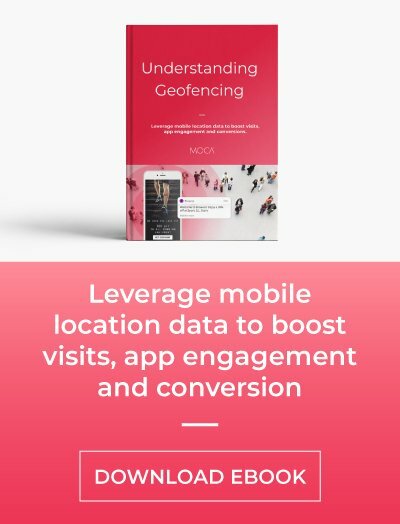 On the other hand, geolocation technology is used for macro-location, which allows triggering mobile campaigns in a wide area. They can be used for sending relevant information before, during and after the event. Moreover, by leveraging festivals' mobile apps and location-based technologies, event organizers and sponsors can amp their offers. For example, they can provide fast passes, backstage tours, exclusive downloads, photos with artists and other royal treatment to attendees. 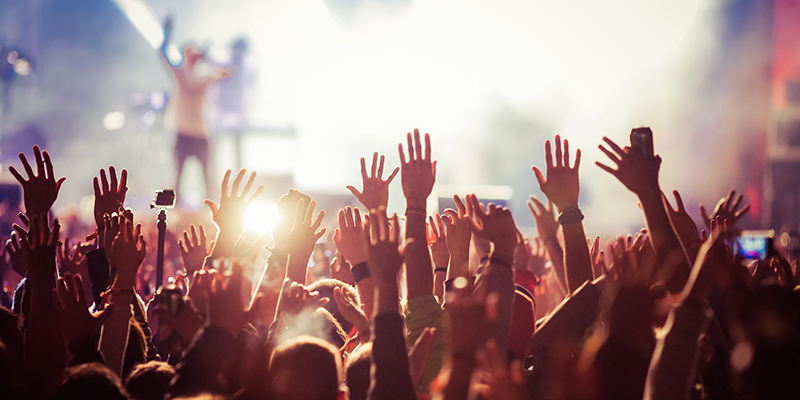 Let’s see 3 examples of how marketers are using location-based technologies to enhance the music fan experience on event festivals. The Cannes Lions International Festival, a meeting on creative communication and advertising, is a reference to the use of these technologies.  The app was designed to personalize the festival experience by offering relevant content and the opportunity to connect with festival-goers sharing the same interest. They use beacons and geofencing to facilitate attendees actions as common as finding friends lost in the enclosure or to inform the changes of schedule of the performances. Bonnaroo is a four-day musical festival where 85,000 people camp out while enjoying music from 10-plus stages across the 700 acres during the day. In the last years, they are using beacons and geofencing to communicate with its attendees, and get an idea of how people are moving across the concert area. Event organizers placed 114 beacons around the venue, including along the highway leading up to the concert gates. Since Bonnaroo provides its own signs for the event along the road, it could easily attach beacons to the signs that cars are passing. The roadside beacons sent messages telling drivers that they are so many miles away and they should pull over into the right lane now because the line for turning off will begin soon or they are 30 minutes from the gate while they are sitting in a traffic line and they should get their tickets ready to make the process go faster. The Hamburg event, is both a music festival and a conference featuring more than 200 sessions, networking events, meetings, showcases and award shows. Organizers were aware that the festival’s diverse lineup made it challenging for attendees to remember every show or conference they had seen. They didn’t use beacons to push notifications but to register a user’s journey around locations and, based on it, display relevant on-demand content. Thanks to the wide app promotion as well as word-of-mouth and built-in social sharing features, 62% of the festival attendees installed and actively used the app. It is a fact that music festival industry is evolving faster than ever. To attract new fans while turning a profit, event organizers need to embrace mobile and location technology. It will help them to understand where attendees are, what they’re doing during your event and other proximity insights. Using this data they can improve operations, marketing, sponsorship, and more.